Quetzaltenango or Xela is the lesser visited but not less interesting brother of Antigua. The city draws backpackers who want to experience the real city life in a non-touristy city. Quetzaltenango is a great place to do that! But you might be wondering… where shall I rest my head in this great city? We asked our self the very same question a while ago! 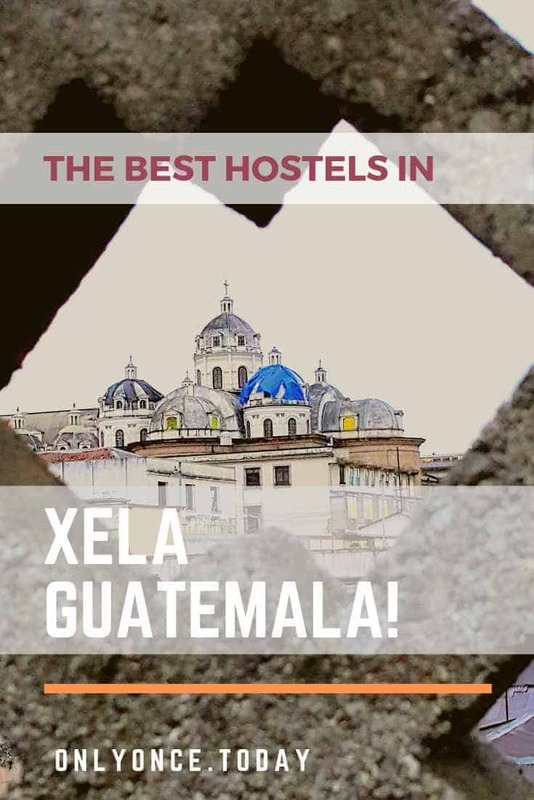 That’s why we created this list with the very best hostels in Quetzaltenango. 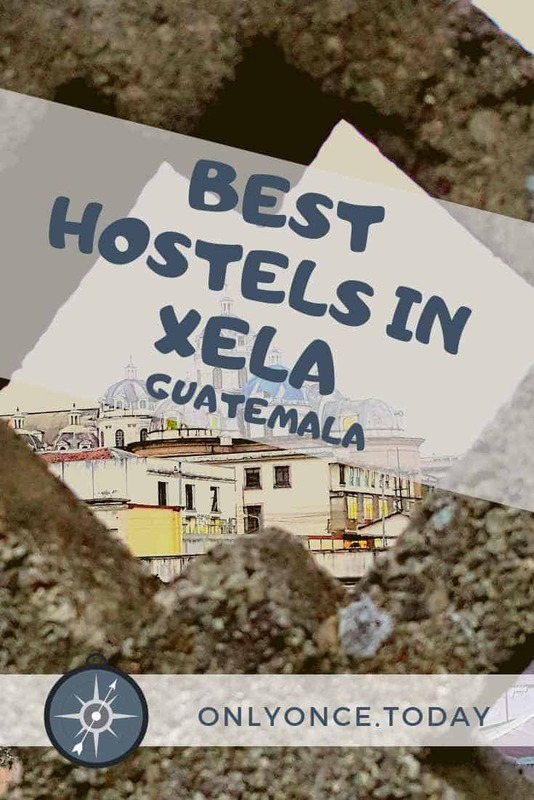 We were able to tune it down to just the 3 most popular and most interesting hostels in Xela. So here we go! 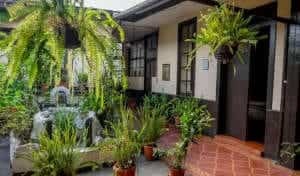 Casa Seibel is the best backpacker hostel in town. And the reviews this place gets are not lying! It’s a popular place to relax and meet other travelers over a beer or while cooking your meals in the shared kitchen. It has a great location just a few blocks from Central Park. This hostel has a restaurant just around the corner where you can get a cheap breakfast for 18Q. But you can also just get some eggs and bread at the market nearby and make your own breakfast in the communal kitchen. Casa Seibel is a cheerful and happy place! Travelers usually stay longer than intended. There are also quite a few backpackers who stay for a longer time because they are studying Spanish in Quetzaltenango. In Casa Seibel, you can get cheap private rooms and even cheaper dorm beds. You really can’t go wrong with this hostel! Casa Kiwi – Runner up! 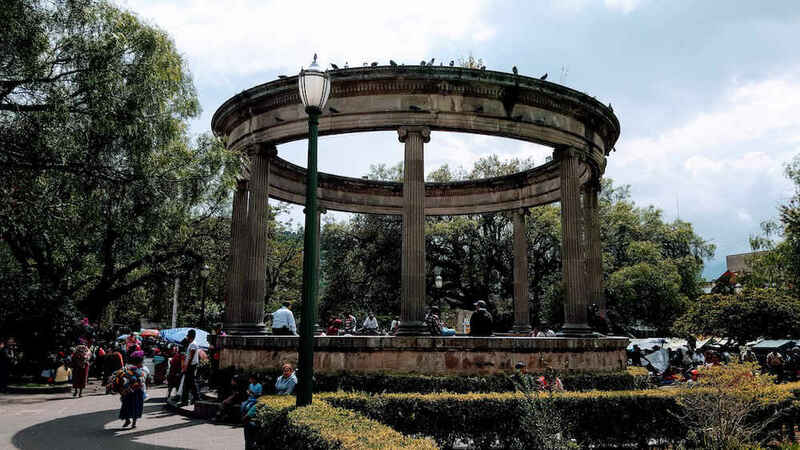 Casa Kiwi is located in the same street as Casa Seibel, so it also has an awesome location near the central park and the historic city center. This hostel is also quite popular and it has a relaxed backpacker vibe. Casa Kiwi also works with the same restaurant around the corner, where you can get breakfast for 18Q. But you can also get yourself some ingredients in the local market nearby and cook your own breakfast in the shared kitchen. This hostel in Xela has a fun and relaxed vibe. People end up staying longer than intended because they just enjoy the vibe. A lot of backpackers study Spanish in Xela and they stay in the hostel a lot longer. In Casa Kiwi, you can get cheap private rooms and even cheaper dorm beds! 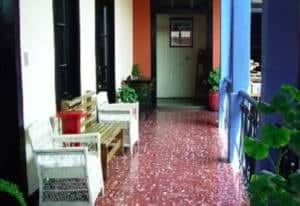 The Black Cat Hostel Xela is a super popular hostel, a few blocks from the main city square. In this hostel, you can’t use a communal kitchen, but you do get an awesome breakfast included in the room price. This place is on the third place because it’s a little more expensive than the other 2 and there’s no kitchen to use. There is, however, a restaurant on site and the food is delicious. In the Black Cat Hostel, you can get private rooms, as well as dorm beds. 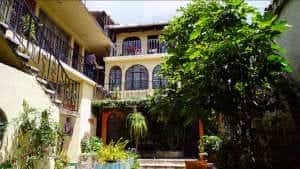 Found a great hostel in Xela? Hostel options in Quetzaltenango are rather limited, as you can read. But that doesn’t have to be a big problem. The ones you can choose from are good hostels and they all have a great backpacker vibe. We recommend staying in Casa Seibel, which is by far the best hostel in Quetzaltenango. Did you stay in Xela? Which hostel did you choose and did you like it? Best Hostels in Tulum - Find the best match for your trip here! PreviousGuatemala Transportation Guide – Cover ground like a pro!